It wasn’t that long ago that an article about the use of drones in the mainstream press was a rare occurrence. 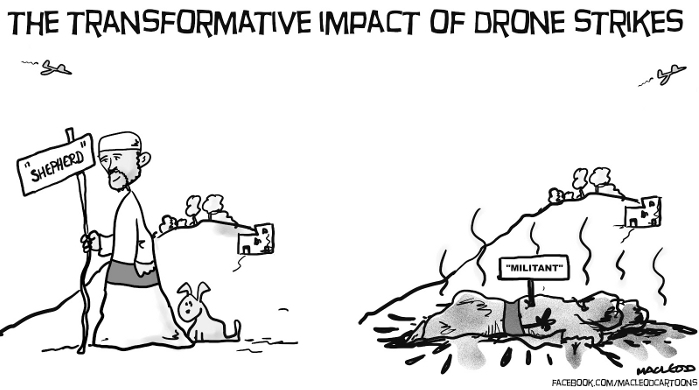 Now so much is happening that it is difficult to keep up with all the news about drones. Over the past two weeks important developments have taken place on a number of fronts so we thought a general news round-up would be helpful. Officials stated that reports of continuing tacit consent by Pakistan to the use of drones on its territory by any other State are false, and confirmed that a thorough search of Government records had revealed no indication of such consent having been given. Officials also pointed to public statements by Pakistan at the United Nations emphasizing this position and calling for an immediate end to the use of drones by any other State on the territory of Pakistan. The Special Rapporteur was informed that according to statistics compiled by the Ministry of Foreign Affairs, there have been at least 330 drone strikes on the territory of Pakistan since 2004. Records showed that the total number of deaths caused by drone strikes was at least 2,200 that in addition at least 600 people had suffered serious injuries…. [T]he Special Rapporteur was informed that the Government has been able to confirm that at least 400 civilians had been killed as a result of drone strikes, and that a further 200 individuals were regarded as probable non-combatants. Officials indicated that due to under-reporting and obstacles to effective investigation on the ground these figures were likely to be under-estimates of the number of civilian deaths…. In discussions with the delegation of tribal Maliks from North Waziristan the Special Rapporteur was informed that drone strikes routinely inflicted civilian casualties, and that groups of adult males carrying out ordinary daily tasks were frequently the victims of such strikes. They emphasized that to an outsider unfamiliar with Pashtun tribal customs there was a very real risk of misidentification of targets since all Pashtun tribesmen tended to have similar appearance to members of the Pakistan Taliban, including similar (and often indistinguishable) tribal clothing, and since it had long been a tradition among the Pashtun tribes that all adult males would carry a gun at all times. They considered that civilian casualties were a commonplace occurrence and that the threat of such strikes instilled fear in the entire community. They emphasized that drone attacks had fractured their existing tribal structures, and destroyed their way of life. They also pointed out that their local tribal law, the Pashtunwali, prescribed revenge for the loss of a life and that this entrenched tribal tradition had given rise to a desire, particularly among young men, to seek revenge for the drone strikes, thus radicalizing a new generation. The US issued a muted response saying it had a “solid working relationship” with Pakistan and would respond in more detail l when it had seen the full report. After an awful long silence (as others have noted), there is the first signs of the beginning of EU opposition to the US use of drones for targeted killing. Three MEPs hosted a well-attended meeting on the issue where MEPs and researchers were briefed by the ACLU and Ben Emmerson. It was announced that two European Parliament subcommittees would be holding a hearing next month to further investigate the US program. As well as investigating the US use of drones, the EU should also be looking at the way it subsidies Israeli drone manufacture, as detailed in an excellent report by Ben Hayes. The ACLU also had something of a victory in its on-going work to uncover details of US use of drones this week with an appeal court overturning a previous decision and insisting the CIA must give a fuller response to the ACLU’s FoI request on their use of drones. This doesn’t mean, however, that any information will be immediately forthcoming as secrecy still surrounds the use of drones. In fact after just a short period (3 months) of openness about the monthly number of US drone strikes in Afghanistan, the US military has now refused to publish any further data and has erased the data it had previously released, from its website. As the Bureau of Investigative Journalism reports, the data was showing “the increasingly important role played by drones in airstrikes by the US and its allies in Afghanistan” with one in four airstrikes now being carried out by drones. This week Drone Wars UK received revised figures from the UK MoD on number of UK drone strikes in Afghanistan following a recent FoI request. 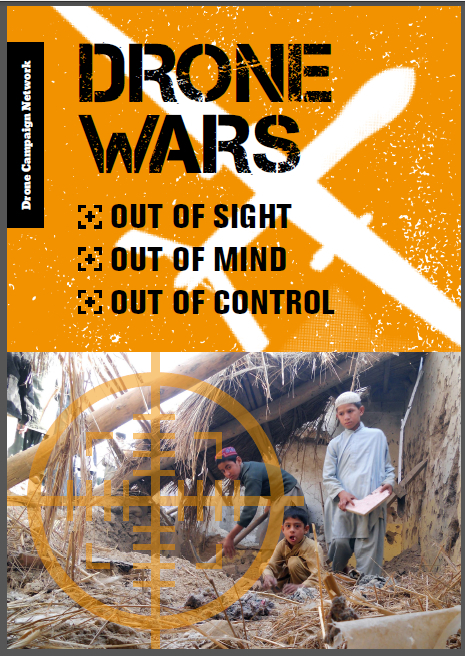 The figures show that British drones have undertaken 363 drone strikes in Afghanistan up until 1 Jan 2013. The data also breaks down the weapons used between the larger GBU-12 (Paveway) bombs and the smaller Hellfire missiles. 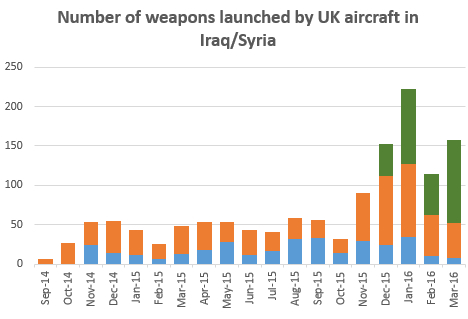 The Paveway bomb made up 40% of the weapons used in the first three years of drone strikes but were not used at all in 2012. Is this, we wonder because of the fear of collateral damage caused by the larger bombs? US drones operations from UK? A report in the Mail on Sunday last weekend revealed that the US base in Djibouti, Camp Lemonnier, has a direct data link to a US intelligence base in Oxfordshire. RAF USAF Croughton is part of a network of US intelligence bases in the UK led by Menwith Hill in Yorkshire (see Lifting the Lid on Menwith Hill) The existence of a secure military communications link between Camp Lemonnier in Djibouti from which US drone operate over Yemen and other countries in North Africa, and the UK shows that Croughton and Menwith Hill are no doubt involved in analyzing information and video from US drone flights in that area. It is also possible that information obtained in this way and analyzed by US personnel in the UK could be used to direct further US drone strikes. The Mail on Sunday piece also quoted several documents, one of which “requests US security-cleared staff to work at RAF Waddington on a USAF drone called the Predator” and another that “describes a role for a communications technician at the same base ‘supporting 24/7 operations of critical real-time USAF/ANG [Air National Guard] mission operations’”. RAF Waddington is being readied to operate British Reaper drones over Afghanistan from UK soil for the first time. Up until now British drones have been controlled from Creech Air Force base in Nevada, alongside US drone operators. What these documents appear to show is that the staff are being recruited to work at RAF Waddington who have US security clearance. This does not mean that the US is operating drones out of Waddington as the article implies (and the headline states). Rather these documents confirm that the USAF is sharing information with the RAF and no doubt vice versa. Hence the need for US security cleared staff at Waddington. Finally, this weekend’s revelation that the CIA is collecting intelligence on “Islamic extremists” in Syria for possible drone strikes shows that the US is planning to continue to expand its lethal drone operations around the world. 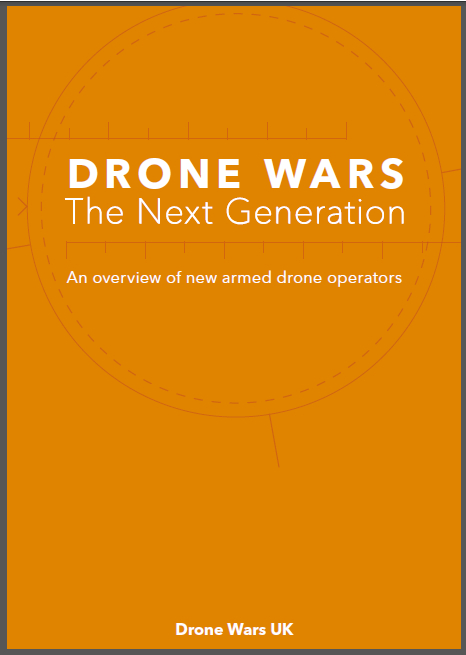 Despite this one US think-tank – the Project 2049 Institute – wants to draw the world’s attention to the threat that China’s development of drones pose (pdf). Perhaps unsurprisingly among the board members of Project 2049 Institute are a former US Assistant Secretary of Defense, and representatives of BAE Systems and the Heritage Foundation. The development by China, one of the worlds military superpowers, of a whole raft of military and civil drones is deeply worrying – particularly with regard to the issue of proliferation – as this more balanced piece on the Chinese development of drones shows. However for a US think-tank to argue that the Chinese development of drones poses a risk to global peace and security without also addressing the US use of drones is beyond irony.